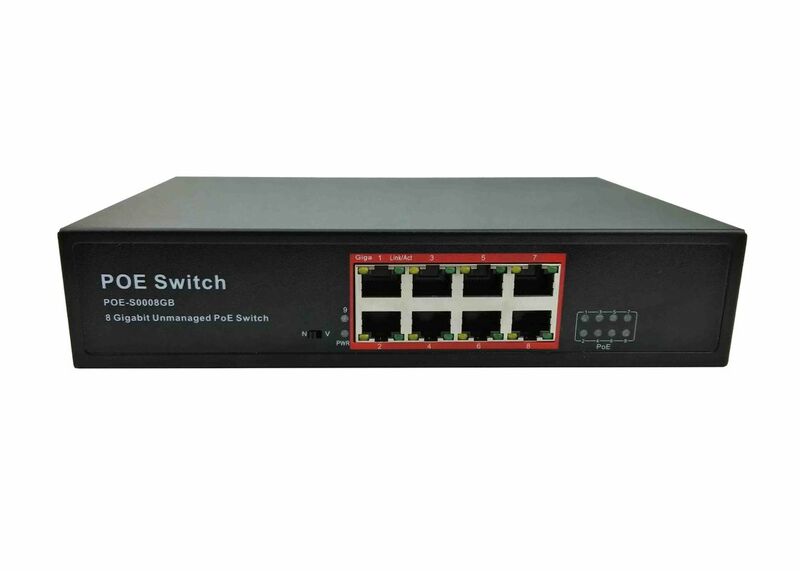 POE-S0008GB is a 8 port Gigabit unmanaged PoE Switch, conforming to IEEE802.3af/at, with 7 units of Powered Device (PD) such as IP Camera, VoIP Phone, Wireless AP/Routers etc. can be working together at the same time powered by 150W built-in power supply or external power supply with input voltage range of DC48-57V, any of these 8 ports can be used as uplink and any of these ports power output is max. 30W. it’s also 19’’ rack mountable and easy to install and manage. 8 port 10/100/1000Mbps RJ45 POE. Compliance with IEEE 802.3af/at, 16G bandwidth. AC100-240V, 50/60Hz or DC 48~57V two different power supply modes. MAX 30W for a single port, total input power amount 150W. Plug and play, self-adaption, 19’’ rack mountable. PoE working status can be read and troubleshot through corresponding LED indicators. Applied to IP CCTV, wireless AP, VoIP phone, Portable Device, etc. 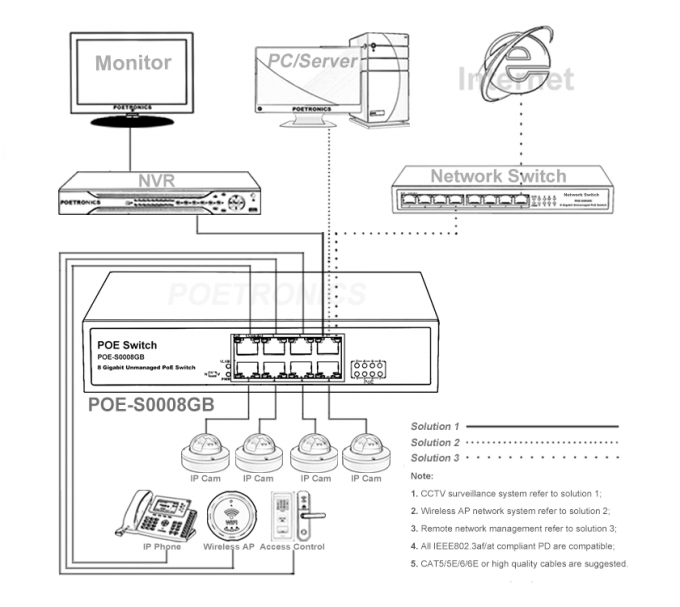 V: 1-4 PoE Ports VLAN isolating from each other, effectively restrain broadcast and multicast storm, ARP virus and other network failure; Apply to wireless AP and other equipment.